I’m pretty sure that there is enough bandwidth out there now that every single person on earth could be on the phone at the same time. Though, there’d probably be some seriously over saturated lines in more remote locales. Incidentally, those calls cost roughly $119 a minute in 2009 dollars. 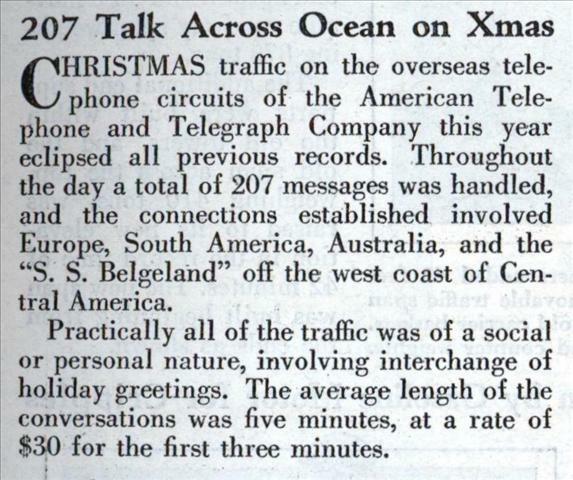 CHRISTMAS traffic on the overseas telephone circuits of the American Telephone and Telegraph Company this year eclipsed all previous records. Throughout the day a total of 207 messages was handled, and the connections established involved Europe, South America, Australia, and the “S. S. Belgeland” off the west coast of Central America. 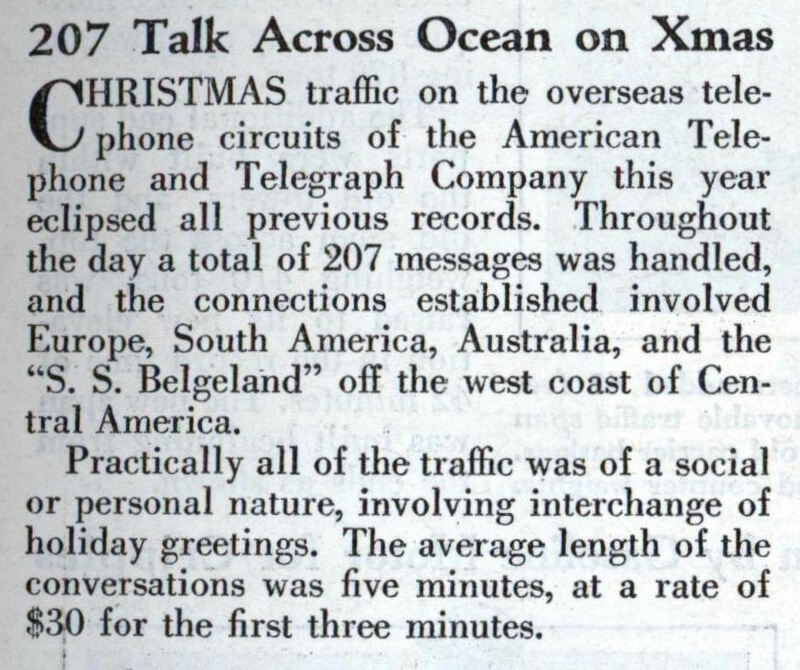 Practically all of the traffic was of a social or personal nature, involving interchange of holiday greetings. The average length of the conversations was five minutes, at a rate of $30 for the first three minutes. Back in 1972 there were only three telephone lines from USA to all of India. You had to make a reservation with an operator in NY to make a call. 1972 seems like not that long ago. How times have changed. Hopefully, everybody knows these connections were by shortwave radio, at the mercy of the ionosphere. 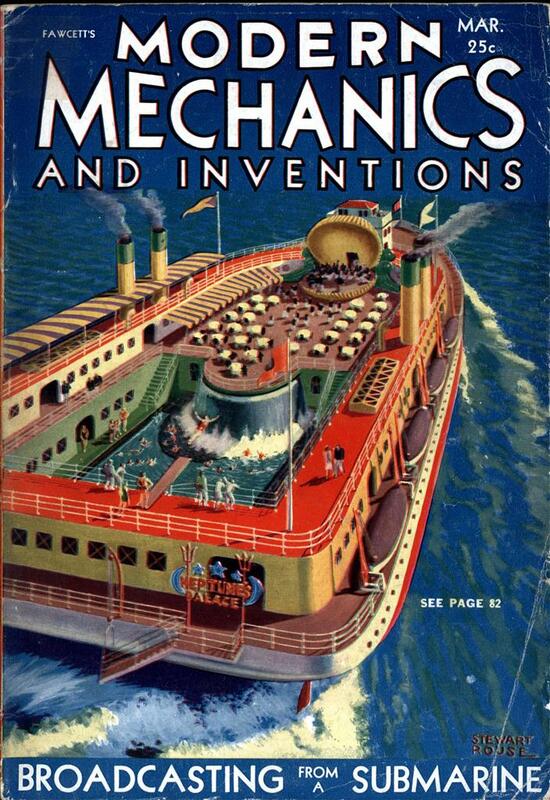 Was that way until the Trans Atlantic Telephone (TAT-1) cable in 1956. Actually all phone systems work on the basis of being oversubscribed- if everyone picks up their phone at the same time it’s a great way to crash the system. That’s why you can’t get dialtone during big disasters, and why it’s hard to get through around midnight on New Year’s Day. Yes, but a whole lot of us now have multi-megabit internet connections and a voice call doesn’t take much more than 50kps. I remember when calling my grandparents in Rangoon on Christmas was a several hour ordeal. By the late 70’s we could direct dial them.